A new hotel in Tel Aviv that was opened in June 2009 by the Fattal hotel chain. The location of the hotel in the heart of Tel Aviv, in the center of Ramat Hachayal, Tel Aviv's Business & High Tech District within a 10-minute drive away from Tel Aviv's city center. Carefully designed, the Leonardo Boutique presents a unique design. 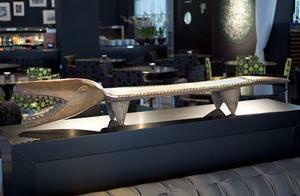 Equipped with every modern comfort, it is the perfect base for business travelers. Guests of Leonardo Boutique Hotel Tel Aviv can enjoy the magnificent views over the exciting city from the hotel bar and the gym. Trendy bars and restaurants are located within walking distance, and Herzeliya’s high-tech business district is under a 15-minute drive away from the hotel. 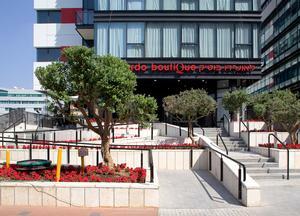 The Leonardo Boutique Hotel Tel Aviv has a total of 167 rooms and suites on 8 floors. 4 rooms for the disabled. 17 suites including one presidential suite, 2 deluxe suites, 7 suites and 7 junior suites. Luxurious and professional business lounge. 23 rooms per floor on floors 1-7. All rooms have LCD TV,coffee and tea facilities,safes,mini bars,hair dryers. All rooms are designed to provide business travelers with a superior level of modern technological features including up-to-the-minute communication and computer facilities. All rooms are uniquely designed by a top Israeli architect Moshe Kastiel and Liora Ofer. The Hotel is located in the vigorous Ramat Hachayal business district and within 10 minutes driving to Tel Aviv's city center. The hotel is easily accessible by public transpiration or a private car. Public transportation:from Ben-Gurion Airport, Terminal 3, take the bus 5 to El Al junction. At the El Al junction change to the bus #475 to the central bus station Tel Aviv. At the central bus station of Tel Aviv, go up to the seventh floor and take the bus #28.At the bus stop Raul Wallenverg St. or Harbarzel St.